Indangani masks are worn by Salampasu warriors when they join the Indangani society. 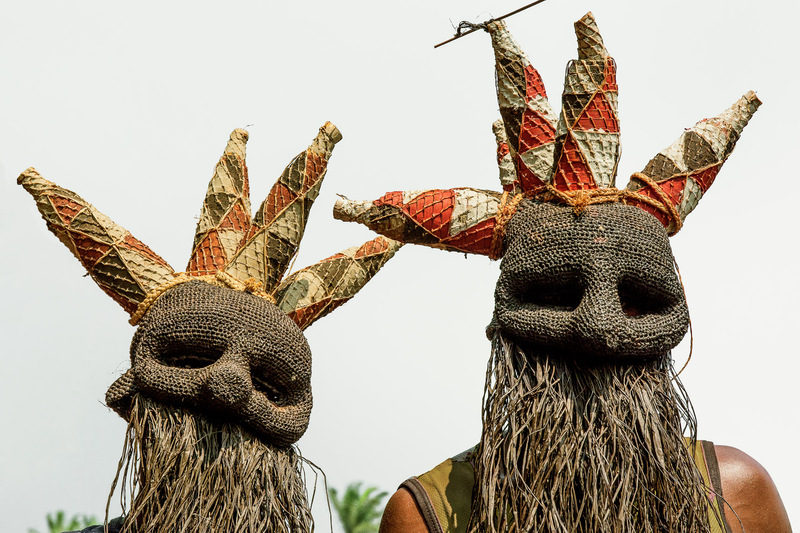 They feature a headpiece of conical shapes with a crocheted raffia face and a palm-fringed beard. They are replaced with more elaborate masks as the warriors progress through its hierarchy.